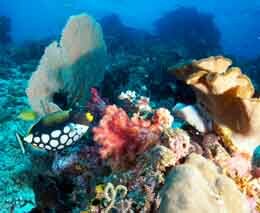 The Meridian Adventure Dive Resort is set up to focus on the three most important components of dive holidays. 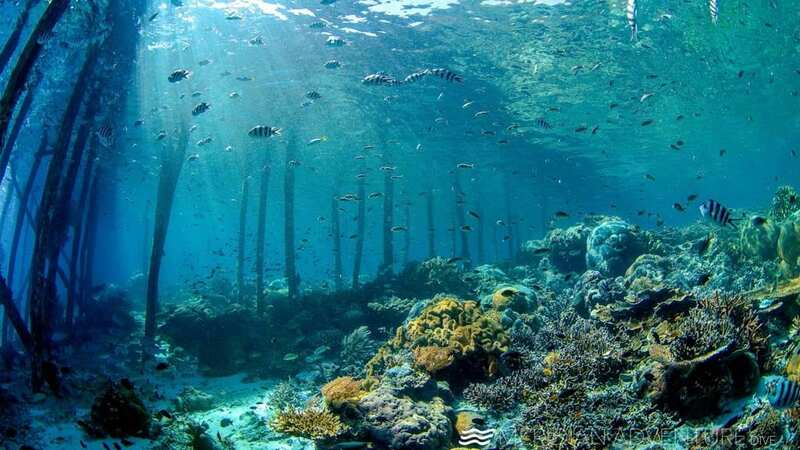 The perfect dive site every time in consideration of currents and conditions. 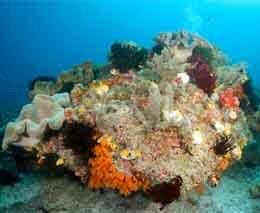 Reliable equipment and efficient transport to and from dive sites. 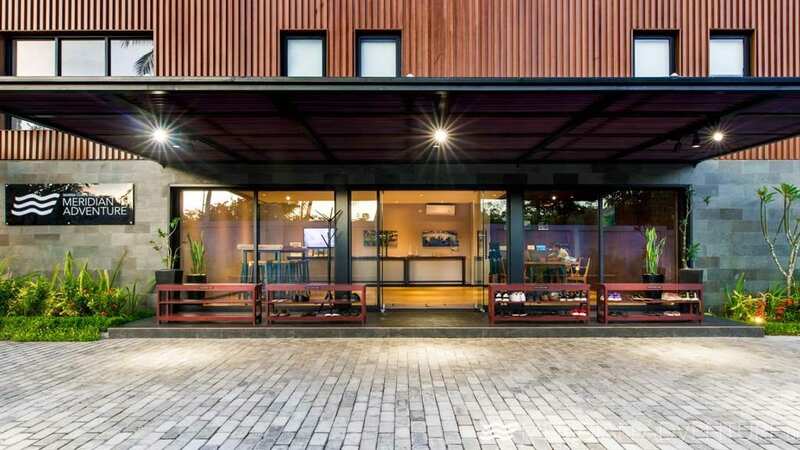 Modern, yet clean and simple accommodation with great food. 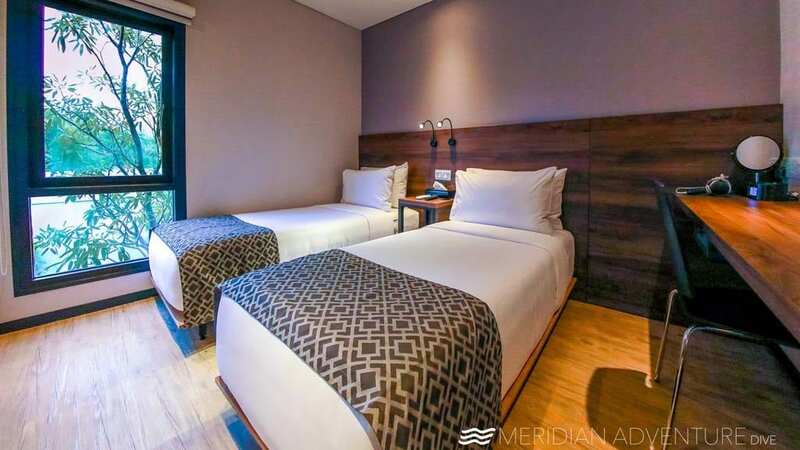 The Meridian Adventure Dive Resort has 30 rooms, each air-conditioned with two twin beds (or double on request), complete with beautiful linens and towels, and all the standard amenities. 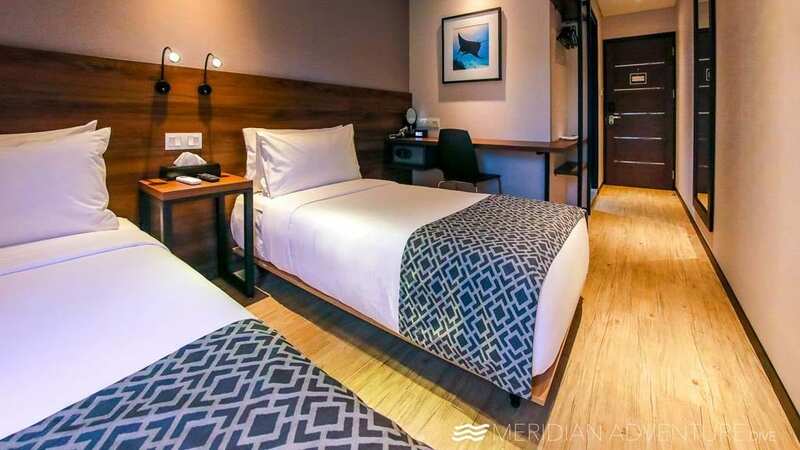 Like well-designed boutique hotel rooms, they offer guests modern, uncluttered comfort, with fresh interiors that are serviced throughout the day and maintained impeccably. 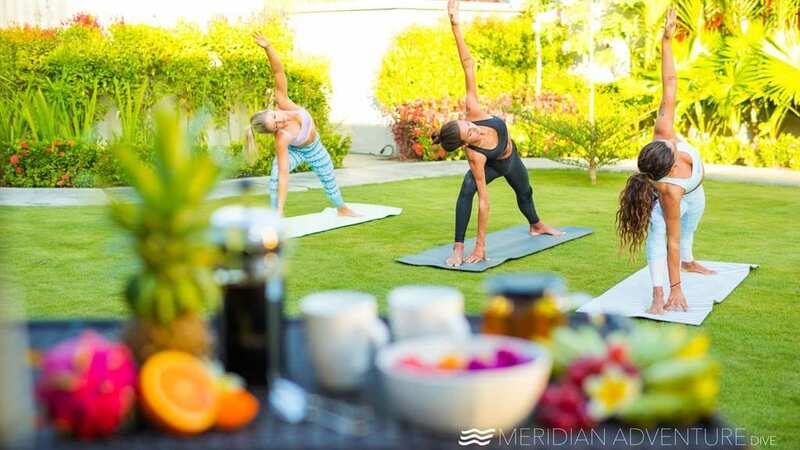 Meridian Adventure Dive resort takes pride in their exceptionally high standards – whether it be diving, dining or simply housekeeping service. 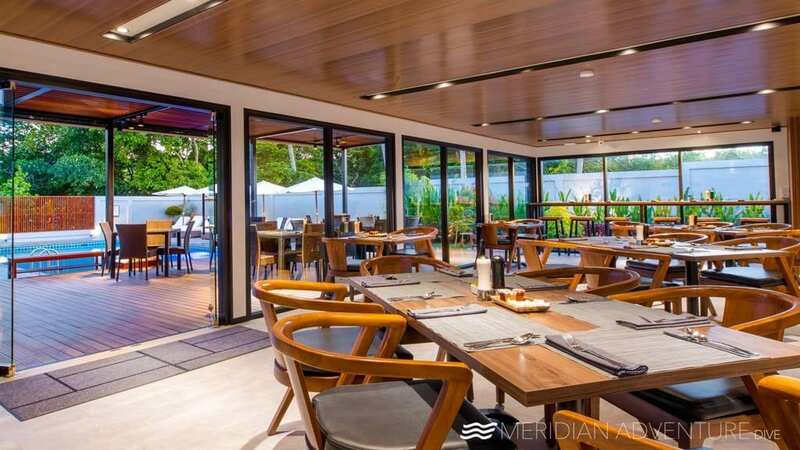 The Meridian Adventure Dive resort offers a ‘fusion’ restaurant, with a menu is designed to embrace food in its natural form, allowing for clean, uncomplicated flavours. The menus compliment the local Waisai culinary style rather than attempt to compete with it. Much of their produce is sourced locally, and some even grown fresh at the resort. 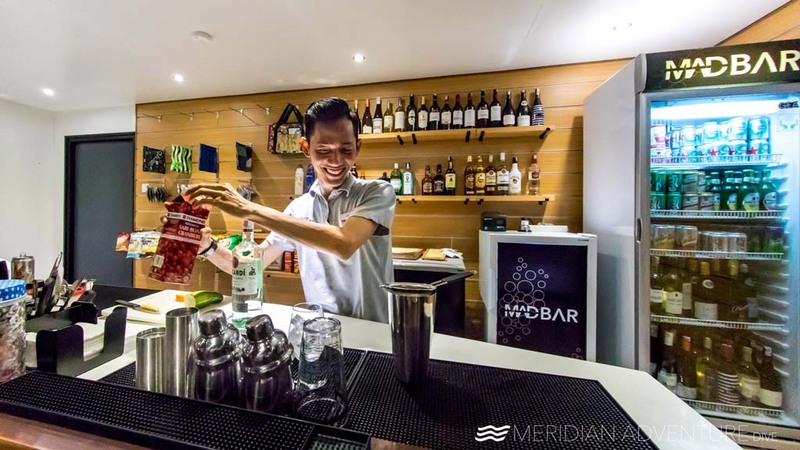 The Meridian Adventure Dive resort has a fully stocked bar with Juice, Sodas, Beer and Spirits, an International Wine List, and cocktails. The resort is an environmentally conscious organization that aims to minimize negative environmental impact. Plastic water bottles are not supplied – instead, each room is supplied with two stainless steel water bottles which can be refilled at the water station at reception. Standard Package pricing includes 6 or 11 nights’ accommodation at the Meridian Adventure Dive Facility and Hotel with free WiFi throughout in air-conditioned twin room (2 beds) – or double bed upon request, with breakfast; state-of-the-art Aqualung BCD and regs, 3mm full body wetsuit, mask and fins; unlimited air tanks, weights, and belt; 20 guided dives with GoPro footage of all dives; surface intervals on white beaches and to remote villages, where you can buy fresh coconuts, and see coconut crabs. Government taxes. 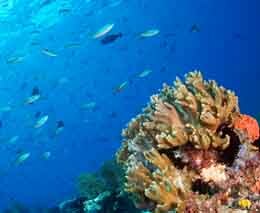 Not Included: the Raja Ampat Marine Protected Area Permit. A compulsory permit which costs IDR 1 million for foreign visitors and can be purchased on the website at www.meridianadventuresdive.com or at the Waisai Ferry Dock. Also payable locally: lunch, dinner, and beverages. The per person pricing above is indicative only: we show Standard and Luxury packages for the purposes of comparison. We can give you a price (and availability) for any combination of nights/dives you wish to undertake subject to availability at the resort. Use the [Enquiry & Booking] button to give us your exact requirements and we'll give you the best deal we can. 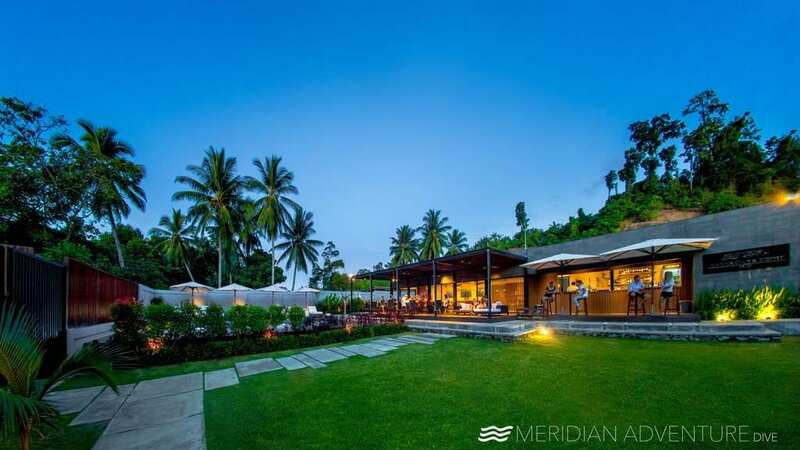 Meridian Adventure Marina Club & Dive Resort Waisai is located on the island of Waisai, a 2 hour ferry ride from Sorong on the Bird’s Head Peninsula, Raja Ampat, Indonesia. The Resort is behind the Marina Facility which is a 4 minute walk from the Waisai Ferry Terminal. On arrival at Domine Eduard Osok Airport in Sorong, (SOQ) get a taxi to the ferry terminal, a ferry to the island of Waisai, and then walk to the resort. Taxis are available as you exit the airport to get to the ferry terminal, and they charge approximately IDR 200,000 (approx. US$15.00). The ferry departs Sorong daily at 9am and 2pm, Saturday’s have an additional ferry at 11:00am. The travel time is about 2 hours. Alternatively a transfer and ferry ticket can be pre-arranged and can be charged to your room. On arrival at the Waisai ferry terminal, the resort is 4 minute walk along the water line from the Marina, which has direct access to the resort. There are also taxis available to drive you straight to the hotel reception for approximately IDR 150,000 (approx. US$11.50). Reliable equipment and efficient transport to and from dive sites to maximize your time in the water. 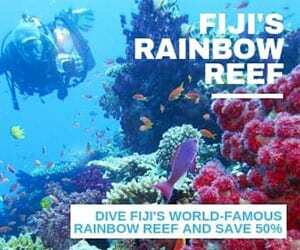 They have access to more than 288 diverse dive sites and take guests to the best dive sites for the specific days’ conditions. 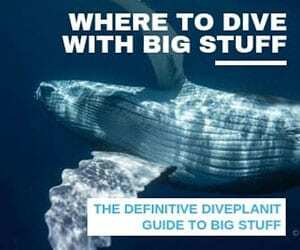 They have tried, tested and tailored itineraries to maximize each day’s diving, and purpose-built high-speed dive boats for comfortable transport to and from the dive sites. 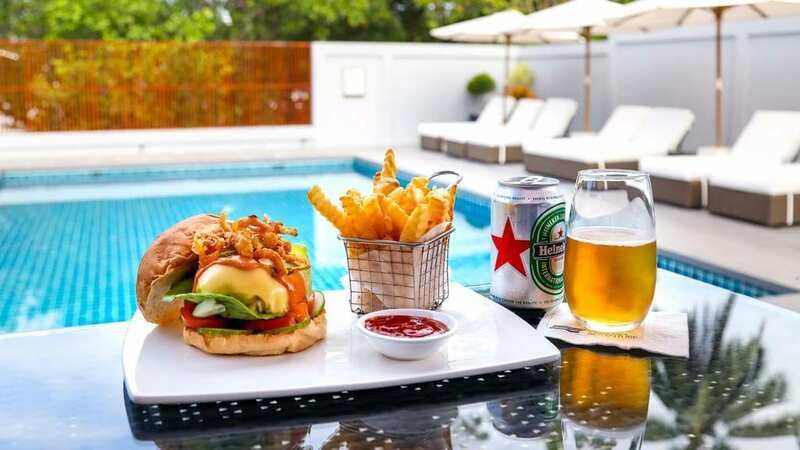 Included in the package price is modern, well-maintained, top of the range equipment from Aqualung to ensure there are no hiccups to spoil your day. Packages offer either 2 dives or 4 dives per day, with a two tank dive in the morning and a two tank dive in the afternoon. Dives are spaced throughout the day, maximizing the travel time between dives sites, all the while getting a fantastic view along the way. 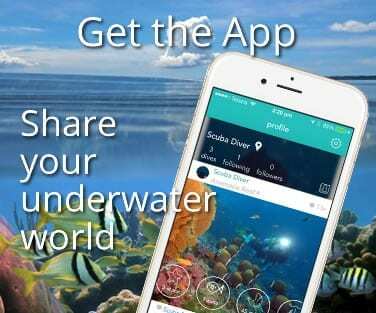 Meridian Adventure Dive crew are professionally trained Instructors and Dive Masters. 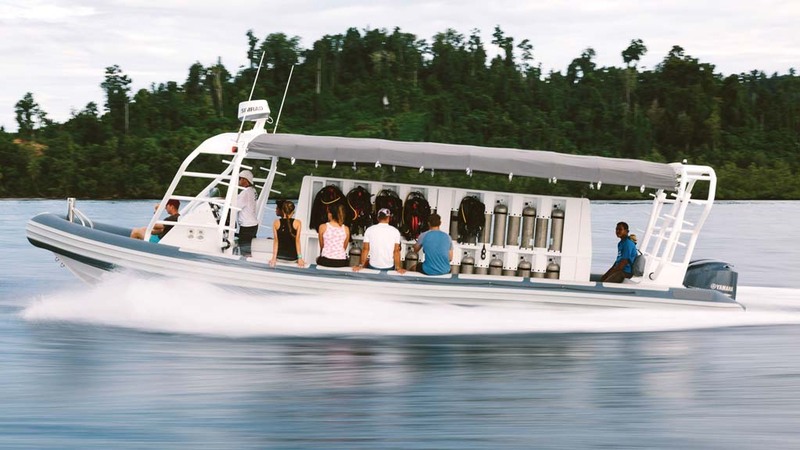 The dive boats can accommodate 14 guest divers with two dive guides and one driver. One dive guide per 7 guest divers is usual, but the ratio will depend on the certification and comfortability level of the guest divers. 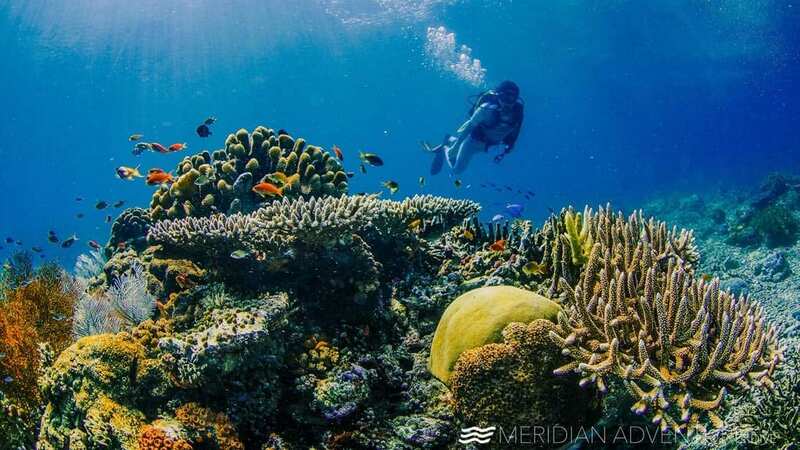 Meridian Adventure Dive are also a 5 star Padi Dive Resort offering discovery and beginner courses as well as courses for advance divers, an can accommodate younger divers. Think Club Med for divers: a sleek operation to guarantee a smooth and comfortable dive at the perfect dive site in consideration of the day’s conditions.